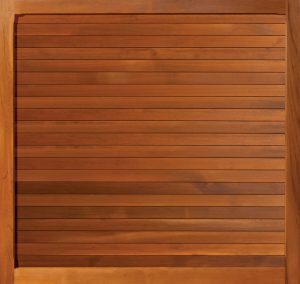 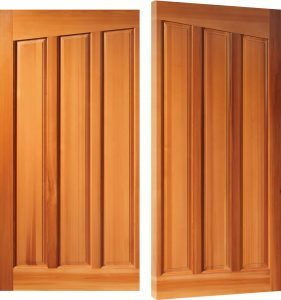 Woodrite’s York range of side hinged garage doors and personnel doors are made with selected cedar mouldings, cedar tongue and groove boards and raised and fielded cedar panels depending on the design. 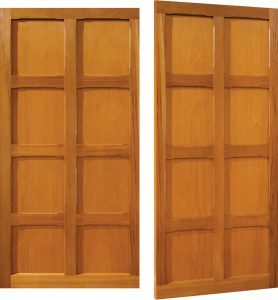 Woodrite York range side hinged & personnel doors are constructed using traditional build methods employing mortice and tenoned joints. 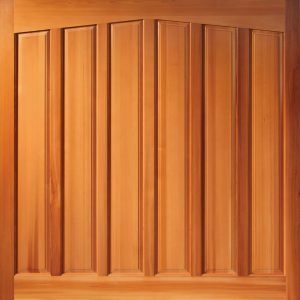 The side, top and bottom rails are all machined used 43mm thick timbers and rebated centre rails eliminate gaps between panels for added security. 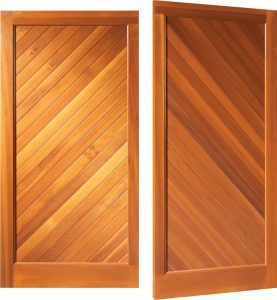 Personnel doors have a mortice lock and lever set as standard. 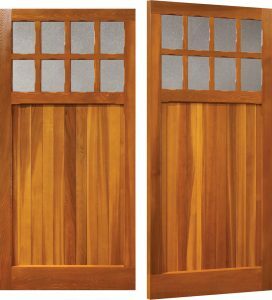 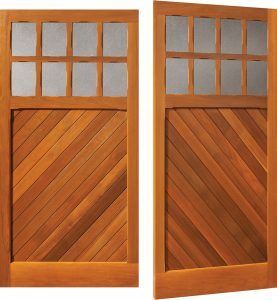 Side hinged doors have shoot bolts top and bottom to secure the inactive leaf and door stays to hold the door in the open position. 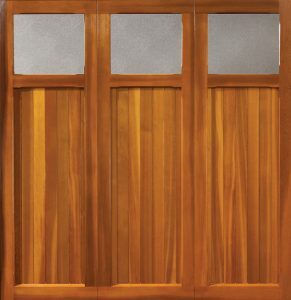 Made to measure size side hinged doors are available from 3’ – 8’ high and in widths from 6-10’. 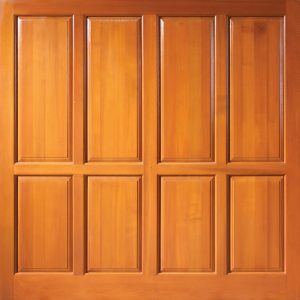 Made to measure personnel doors are available between 2’- 4’ in width.